Jim Rogers could soon be named an outside Director to Ananti Inc, a South Korean Hotel and Resort operator. 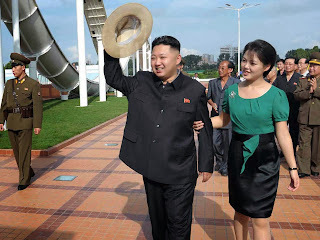 Its portfolio includes a golf course and resort in North Korea. Ananti announced in a recent regulatory filing that it will put the plan to a shareholder vote on December 27. Industry experts expect that the shareholders are highly likely to approve the plan as Jim Rogers could significantly enhance the company. Jim Rogers was the co-founder of the Quantum Fund with George Soros in 1973. Ten years later, the fund gained more than 4000 percent. Jim Rogers is an amazingly smart investor who co-founded the Quantum Fund with George Soros in 1973. By 1983 the fund gained more than 4000 percent. Beijing has said they're going to let people go bankrupt when they get into trouble. On US President Donald Trump recent criticisms of the Fed chairman Jerome Powell's interest rate decision. - Whats the next collapse going to look like..
Jim Rogers talked to RT news on why the US Dollar could see some changes in the coming years. He is still bullish on the US Dollar but only because it is considered a "safe haven". "In the next few years the American dollar is going to lose its position as the world’s reserve currency and the world’s medium of exchange. People don’t like Washington’s power, so they are moving away and finding ways to get away from the dollar. It has happened throughout history, it happened to the pound sterling, you know the rest of that story." Jim Rogers is a legendary investor who co-founded the Quantum Fund with George Soros in 1973. By 1983 the fund gained more than 4000 percent. The US has slapped financial sanctions on two Turkish ministers and then doubled its steel and aluminum tariffs on Turkey. This has had the effect of Turkey's two ministers have their assets and properties under US jurisdiction frozen. Also the sanctions mean, US persons will be prohibited from engaging in financial transactions with them. Jim Rogers spoke with Anadolu Agency recently on the sanctions. Read his thoughts below in quotes. "It is madness. I have no idea why America is doing this. Turkey has been a long-term ally of the U.S. and NATO. In my view, it is hurting America in the long run. And we will hurt ourselves more than we hurt anyone." "Throughout history sanctions had very rarely had much an effect for the long term. Eventually, markets have always figured out the way, get around the sanctions. Some people would call black market, some people call it parallel market, some people call it smart market." "I have been noticing normally .... when something like this happens you take advantage of it by buying. It’s usually an opportunity to buy things. If you are smart enough to do it, it comes out very well, two years, five years later. I have not done anything yet. Just because I have been traveling a lot. But, I certainly see what is happening. I would be probably buying Turkey now. Normally smart people are buying now." "What America has been doing recently [is] making China great again. China, Russia and Iran and now Turkey are getting closer and closer together. This cannot be good for America. I mean, I am an American citizen. But I see Russia, China, Iran, Turkey are getting closer and closer. Five years ago, there were no Chinese. You go to the Red Square now, it is full of Chinese. I am sure it will be full of Russians and Chinese in Istanbul soon. Chinese have a lot of money these days. America has a lot of debt." US markets looks like it can go higher. You can have one final move higher. “I’m still waiting for $950 an ounce, or something like that. “I’m buying Zimbabwe. Zimbabwe was ruined for 40 years by a crazy dictator. There’s a new guy, he may be worse, he may be better, but he’s certainly different, so you should think about Zimbabwe. "I am most bullish on probably agriculture commodities, Russian government bonds in roubles, Chinese shares, Japanese shares. Some of these assets are depressed and have a chance to rise. I am most bearish on FANG (Facebook, Amazon, Netflix, Google) stocks in America. They cannot skyrocket from here. They are certainly turning into a bubble. Just because I said I am not optimistic, doesn’t mean I am going to sell them short, because bubbles really do strange things." An online brokerage in China has become the newest Chinese unicorn. Tiger Brokers, backed by Jim Rogers, said its latest fundraising round had valued it over US $1 billion. A unicorn is a privately held start-up company with a current valuation of US$1 billion or more. The company successfully closed a US$80 million Series C financing, bringing the company’s valuation to US$1.06 billion, the Chinese fintech stock brokerage said in a press release. The latest round was a co-investment led by Prospect Avenue Capital (PAC), Orient Hontai Capital and Oceanpine Capital. US Fed Chairman Jerome Powell seems to be optimistic on the current state of the US economy and has recently said the economy is "in a good place". His predecessor Janet Yellen had taken interest rates to historically record lows. "The Fed doesn't know what it is doing. The central bank throws the interest rate to the lowest level in recorded history. The American central bank has increased its balance sheet by 500 percent in ten years. Historically, it is impossible. So what the American central bank has done is incomprehensible in historical terms. This is like an experiment. I hope it's going to work. They're going to find out it's not going to work." "The interest rate should go much, much higher. The interest rate has gone to the lowest level in recorded human history. This has been totally absurd and it has never happened before because the bureaucrats don't know what they are doing. We are all going to pay horrible price to bring it back to normal. A lot of people are going to go bankrupt. I hope I'm not one of them." Trade wars may seem appealing to politicians but could be a lose lose situation for the majority of people involved. Jim Rogers reveals his thoughts in a recent interview. "I'm against trade wars. In the end, it causes a loss of trade for everybody. So for instance, the U.S. says we are going to put a tariff on steel and aluminum, so then the price of steel and aluminum goes up. There are a few thousand people who make steel and aluminum; they're going to have more prosperity. But to 300 million Americans who use steel and aluminum, if we buy a refrigerator or a lamp, the price for everything will go higher because now we have these tariffs. Yes, a few thousand people are better off. But 300 million people are worse off, plus all the other people all over the world too." 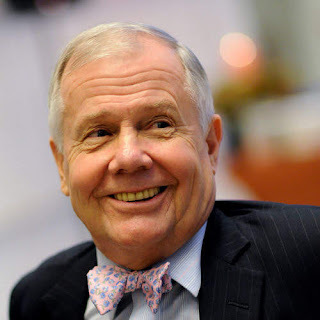 Jim Rogers is optimistic that if North Korea would open up their economy, it would help South Korea and make South Korea one of the most exciting countries over the next 10 to 20 years. "Many of your trading partners are going to suffer. But you have this opening up, and if you remember what happened in China as it opened and changed, that is going to happen here and you will be the major beneficiary." "North Korea has lots of disciplined, educated, very cheap labor and a lot of natural resources. And [South Korea] has lots of capital, management ability and expertise." Jim Rogers talks on why Japan may suffer economically if North and South Korea unite. "Japanese companies want to invest in North Korea but Japan is against it because Japan cannot compete with a united Korea. A united Korea has 80 million people on the Chinese border, lots of cheap, disciplined, educated labor, huge natural resources, lots of capital, and lots of expertise." "Japan has declining population and huge internal debt but they don't have cheap labor anymore so Japan doesn't want unification. Japan would do everything it can to fight it. They would use every excuse"
We are going to have a Trade War. Nobody has won a Trade War. -Long agriculture thesis and the average age of a farmer matters. Someone has to be a farmer. -Stock market index investing is a lazy man's tool, even Jim Rogers uses them. Indexing is valuable but could distort stock prices of stocks within the index. Stocks that are not in the index could be hidden gems, if you can find them. - China has issues with water supplies, pollution, and the ratio of men to women. Anything in short supply increases in value. Status of women could go through the roof. 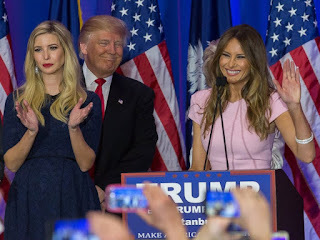 - President Trump seems to be keen on Trade Wars and we are going to have a Trade War. President Trump seems to believe that Trade Wars are a solution to many problems. So you should be worried. 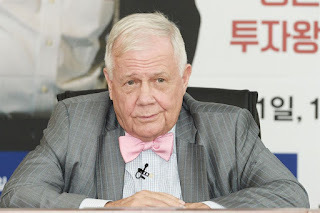 Jim Rogers is very excited about the future of the Korean economy and possibility of peace. 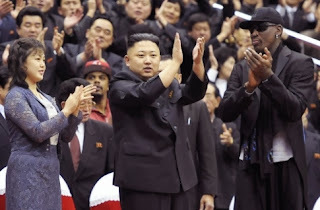 "The kid[Kim Jong Un] does not want war. The kid is not North Korean. He was educated in Switzerland. He knows there’s a different world out there"
Current restrictions on US investment in North Korea. 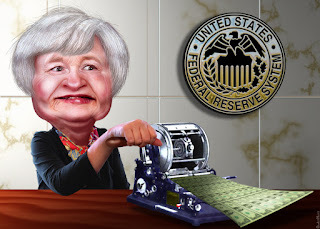 “The Chinese are pouring in, the Russians are pouring in – there are a lot of people pouring in while US citizens, of the land of the free are sitting here looking out the window"
Gold manipulation stories have been going on for literally for 35 years. I dont buy that story. 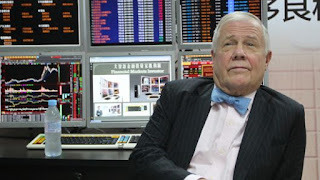 Jim Rogers in an recent interview says that he was watching markets in Vietnam, China, Korea, Japan among others. As an investor he likes to 'Buy Low Sell High', and would prefer to buy markets like Japan which is 50 percent off its all time highs. "Vietnam is doing very well right now. I prefer the bad things that are hated. But there are big changes in the country, and it’s right on the Chinese border. It’s a country of 90 million people, educated, disciplined, hardworking. They call themselves Communist, but take that with a grain of salt. Again, China. I’m looking for investments in China. China’s market is 40 percent below its all-time high. Japan is 50 percent below its all-time high. I’d much prefer China and Japan to, say, America and Germany. You know, these are markets that are near all-time highs." Setbacks in life and in investing can and do happen. 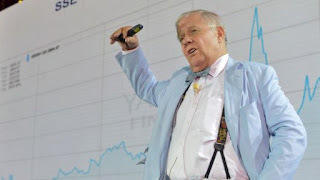 Jim Rogers talks about what could be some potentially good long term investments even though there is the possibility of corrections in those markets. "If you sold U.S. stocks in 1916, you’d have looked smart for a year or two. But over the past century, of course, the U.S. has been the big story. And in coming decades, China will continue to emerge. It’s going to be the big story. So with that kind of time horizon I’d be looking to buy shares of Chinese companies, and looking past the challenges that China is facing now and will continue to face in coming months. Five hundred years ago, the Spanish and the Portuguese started sailing around the world, changed geography. Two hundred years ago, we found the railroad, changed geography. In America, there’s a city called Chicago, everybody’s heard of Chicago. But Chicago is only there because of the railroad. Denver, a big city in Colorado, is only there because of the railroad. The railroad, for example, totally changed world geography. Well, now it’s not going to be the most important port in the world. So some people are going to suffer, some people are going to boom. Kazakhstan, Central China, many places are going to actually boom now because of this. Figure out where and you’ll get rich. You get the wrong places, nobody will ever hear of you. There are cities in America that nobody ever heard of because they disappeared – because the railroad went the other way." Jim Rogers wants to invest in North Korea but is unable to due to US laws. US nuclear weapons in Asia. Jim Rogers not investing in the US. US is making all time highs. Japanese stock market is 50% from its all time high. "Agriculture I’m very optimistic about worldwide, especially in China and especially in Russia. You see Mr Trump is making China great again, he’s making Russia great again. He claims he’s making America great again, but his trade wars are actually helping other people more than America. So I would certainly go agriculture worldwide, certainly in China, in Russia, probably even in Australia too. But I’m keen on Australia, I’m keen on Russia, I may buy more Japanese shares in the next rally whenever it comes. The Japanese market is down nearly 50 per cent from its all-time high, the US market is near to its all-time high. So I prefer to buy things that are cheap, rather than things that are near all-time highs." "If you’re going to invest, be sure you invest in things that you know about, because there’s going to be very very difficult times and a lot of people are going to lose a lot of money, but I’m not one of them. Just stay with what you know and if you don’t know anything, just put your money in the bank and wait. Probably if you put your money in the bank you’ve got in the right currency, I happen to think the US dollar is going to be the best currency for a while. Then it’s going to turn into a nightmare by two or three years, but in the meantime, I would put money into the US dollar, in the bank, if you don’t know what else to do. But just stay with what you know, don’t listen to me." "Mr Trump has promised several times that he wants a trade war and the people around him, and the ones he he’s gathering more and more of are very much in favor of trade wars. So I’m afraid that it’s going worse over the next couple of years and when things get worst, Mr Trump will try even more trade wars. You should start getting worried and you should start getting prepared, because before this is over, we’re going to have a very bad bear market." -Japanese central banks control Japanese ETF market. They are constantly buying Japanese ETF's. By the way I own Japanese ETF's. -Swiss Central Bank now everyday prints money and buys Amazon and Google, they buy the Banks in America. So the Swiss Franc is now backed by Google. -The next bear market in Bonds. Junk bonds will get killed. -Half of cities in Germany are bankrupt. -America's the largest debtor nation in the world. 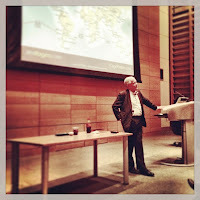 Jim Rogers speaks to Platts on various topics. Read excerpts below. "In my view oil is making a complicated bottom. And then oil will be going higher. Known reserves of oil continue to decline, except for fracking. But fracking, that bubble could pop." "Precious Metals I'm waiting for a decline. Before this is over Gold and Silver are going into their own very overpriced markets. When people lose confidence in governments and money, they buy Gold and Silver." "My best overall market is the Chinese market. It is still 40 percent below its all time high. Japanese Markets is 50 percent off its all time high. I own several Asian markets. Those valuations are much lower on a historical basis than Western markets. If the Western markets are going to go up, the Asian markets are going to go up even more." "Blockchain is going to happen one way or the other. Cyber currencies, I think most of them will probably not survive. There is no question that money is going to be on the internet in the future. In China, they don't have money anymore. I tried to buy ice cream the other day; I only had money. The lady couldn't take money and I didn't have the card, so she gave me the ice-cream." -Stock market was overdue for a correction. Interest rates are going higher. Now we are having a normal correction. -US markets are very vulnerable to a bear market. By 2019, if not before we are going to have another bear market.